If you hang out around Smart Savvy Living much, you probably know that Mr. Savvy and myself have been trying to get healthier, which also means eating healthier. Healthier meals have been pretty easy so far since we both love a variety of healthy proteins and vegetables. Even soda has been pretty easy to give up this time around. However, the hardest part for me by far has been the snacking. I’ve always been a snacker. It takes me forever to eat a plate of food as I prefer to eat a few bites and then put it aside for a while and finish later. Snacking has always been one of my unhealthy pitfalls though. I love eating a handful of this and that. Unfortunately, the this and that usually isn’t quite so healthy. Chocolates, candy, chips, pretzels…all among my snacking favorites. As much as I love fruit and veggies, it’s always been super hard for me to want to snack on them. So, I set out on finding a healthier alternative that I would actually want to eat. These days I love having a bowl of pistachios near by to snack on instead of chips or chocolates. As luck would have it, I was gifted some pistachios around this time. Now, I’ve never been afraid to try most foods, but ironically enough I had never had pistachios before. It’s not something I grew up with. In fact, the only pistachios I ever remember seeing was in the form of neon green pistachio pudding in watergate salad. So, since I love most other nuts, I gave them a try and I have to say, I was hooked and kind of sad that I hadn’t tried pistachios prior to this. Now they’ve become part of my healthier snacking regimen and I’ve actually been doing much better. It’s so important to find healthy snacks that you really enjoy eating or it’s sooo easy to fall back into old unhealthy habits. You can also get pistachios in a variety of flavors so they never get old! One thing that I really love about snacking on pistachios is that you feel like you’re getting more bang for your snack. 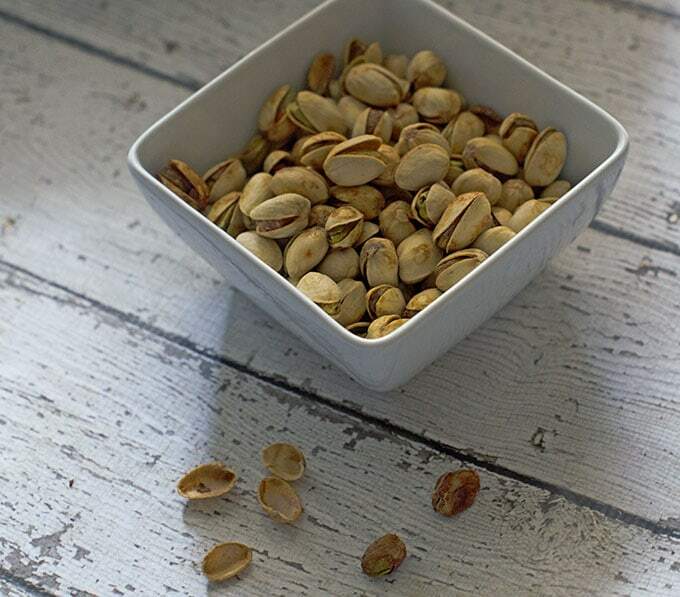 I’ve always loved the trick of feeling like you’re eating more by taking smaller bites, so pistachios are perfect for this. 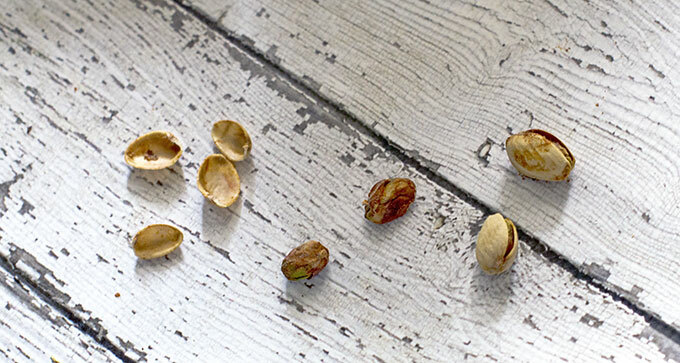 For example, in a 1-ounce serving you get 49 pistachio kernels, compared to just 23 almonds or 14 walnut halves. Eating so many pistachios keeps me busier longer, especially since you have to crack them open, and helps me feel like I’m eating more. The other nice thing about pistachios is that they have a good chunk of fiber, which also helps me to feel fuller longer. In fact, in just a 30 gram serving, you get 12% of the daily recommended fiber amount. As you can see, there are many benefits to eating pistachios, so I’m proud to have a daily handful to snack on. Heck, even recent research from Harvard University and published in the New England Journal of Medicine suggests that the benefits of snacking on nuts go up as the number of servings go up! In fact, pistachios are so awesome, the Pistachio Health Institute is hosting a Shine Like the Stars Sweepstakes on their Facebook page. Check out the details below for how you can win some awesome prizes! To enter, participants must Like the Pistachio Health Institute Facebook page and enter their name, address and contact information here: http://bit.ly/1ccjp8i. Have you changed up your eating habits or any of your routines to help get healthier in 2014? We love pistachios! They are so good and easy to take on the road or traveling. My boyfriend snacks on those a lot, and he says one of the things he likes the most is that they take longer to eat because of the shell.